Failed Ducati Motorcycle Heist In Broad Daylight! 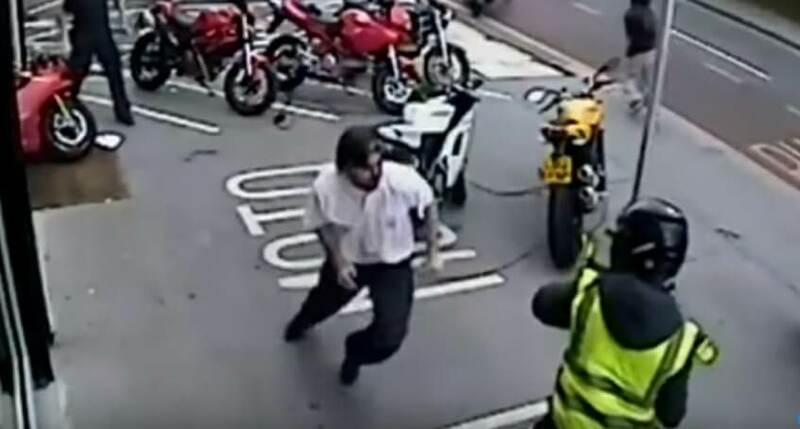 The hero in this video is a shopworker who fights off a gang of robbers trying to steal two Ducati motorcycles from the In-Moto shop in Croydon, London. The gang fled after throwing their weapons at the staff and smashing a window. This 1946 Chevy Mega Truck is a proof that mud is a perfect playground! Mr. Bean McLaren F1 was sold for $12.2 million!